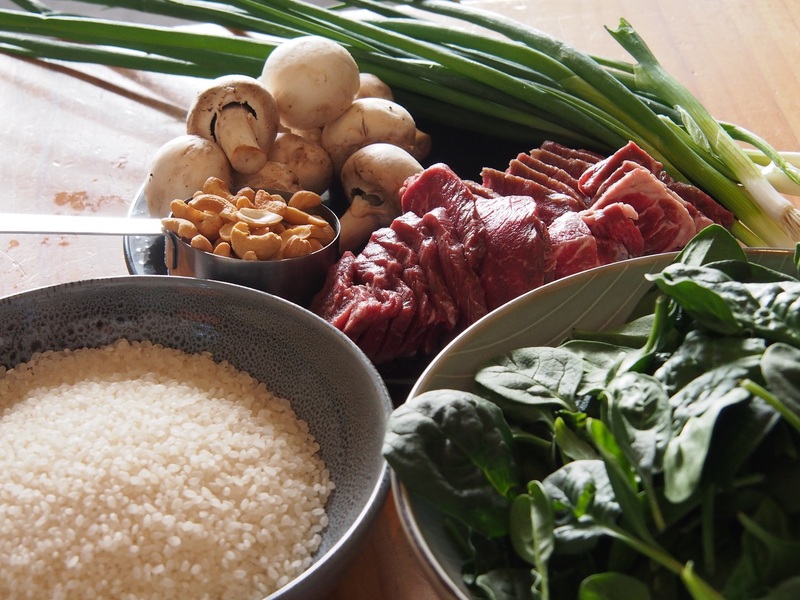 A recipe for Chinese beef stir-fry served with rice where the beef gains a strong flavour from marination for 10 minutes and along with the rice is accompanied with dark green vegetables, mushrooms and cashews. For marinate: Mix soy sauce, oyster sauce, sugar and 1 tablespoon cornflour in a bowl. Add beef, mix and let sit for 10 minutes. For stir-fry: To cook the rice, rinse rice until water runs clear. Then heat rice in a saucepan with 1 and 3/4 cups of water over a high heat until boiling, then stir rice and turn heat down to low, put lid on and cook for 15 minutes. Let rice sit for 5 minutes. Heat peanut oil and sesame oil in a wok, then add marinated beef and cook for 2 minutes. Add spinach leaves and spring onion and cook, stirring for 1 minute. Add mushrooms and cook, stirring for a further 2 minutes. Mix 1/2 tablespoon cornflour with 3/4 cup of warm water, then add to the wok and bring wok to boil, add cashews and cook, stirring for 2 minutes. 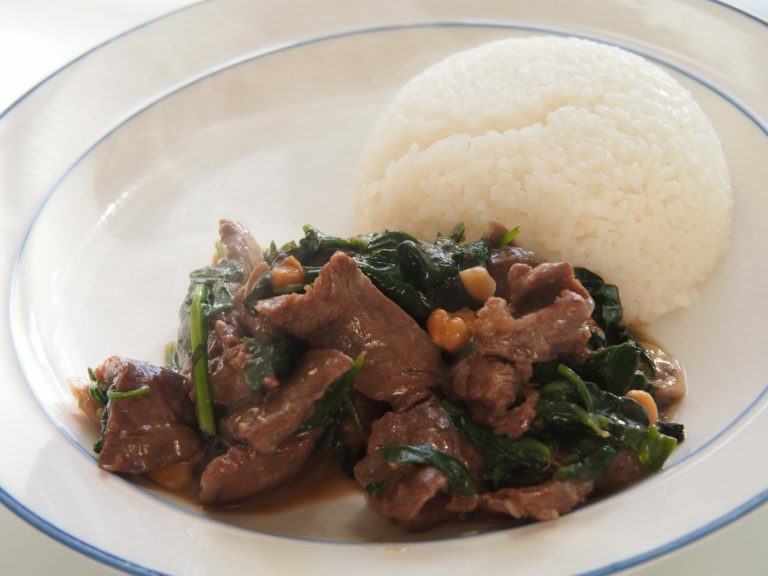 Serve beef stir-fry with rice.